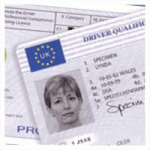 VOSA and the DSA have announced that mechanics who are taking a vehicle for its annual test will require a Driver CPC. However, if only taking for a road test it will not be required. This has come as a shock to the industry which had not been prepared to put mechanics though the required 35 hours of training. Driver CPC requires all professional bus, coach and lorry drivers to complete a minimum of 35 hours periodic training every five years for as long as they wish to continue to drive professionally. If you are a bus or coach driver and held your vocational licence (D, D1, DE, D1E) prior to 10 September 2008 you have acquired rights until 9 September 2013. If you are a lorry driver and held your vocational licence (C, C1, CE, C1E) prior to 10 September 2009 you have acquired rights until 9 September 2014. To keep your Driver CPC and continue driving professionally beyond this date, you will need to complete 35 hours of periodic training (register). This card, along with the drivers digital tachograph card needs to be carried with the driver at all times. Make storage simpler with a double card holder and lanyard available to purchase online or by telephone.